NT270 series tunable laser systems integrates into a single compact housing a nanosecond Optical Parametric Oscillator (OPO) and Diode-Pumped Solid–State (DPSS) Q-switched pump laser. Diode pumping enables fast data acquisition at high pulse repetition rates up to 1 kHz while avoiding frequent flashlamp changes that are common when flashlamp pumped lasers are used. 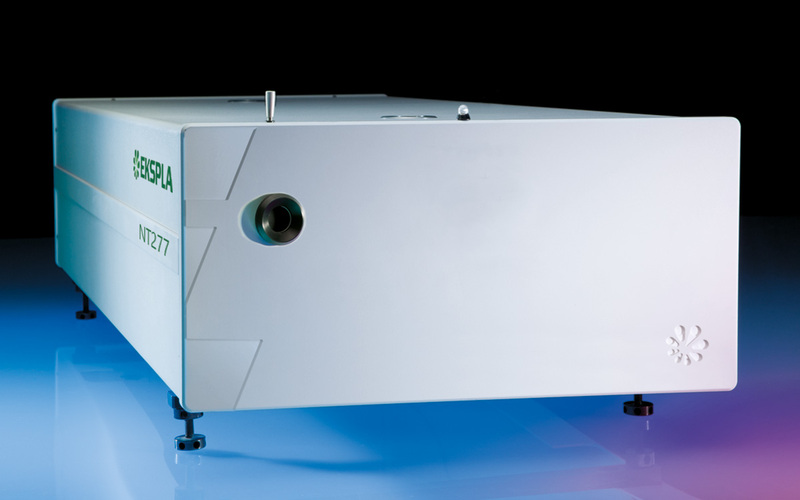 The pump lasers do not require water for cooling, thus further reducing running and maintenance costs. All lasers feature motorized tuning across the specified tuning range. The output wavelength can be set from control pad with backlit display that is easy to read even while wearing laser safety glasses. Alternatively, the laser can be controlled also from personal computer through USB (RS-232 is optional) interface using supplied LabVIEW™ drivers. High conversion efficiency, stable output, easy maintenance and compact size make our systems excellent choice for many applications. Due to continuous improvement, all specifications are subject to change. Parameters marked typical are illustrative; they are indications of typical performance and will vary with each unit we manufacture. Unless stated otherwise all specifications are measured at 3000 nm for NT277, NT277-XIR unit and at 7000 nm for NT277-XIR units and for basic system without options. Available wavelength range. Custom tuning ranges are available. 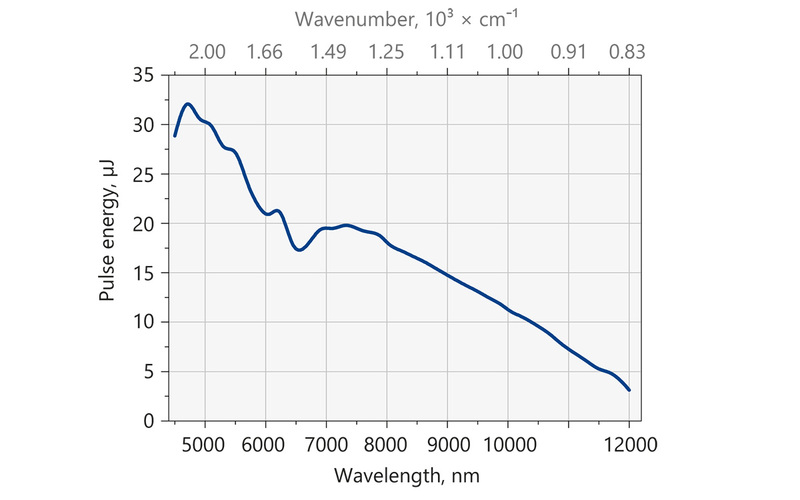 Inquire about tuning curves for typical outputs at other wavelengths. Higher energy 10 – 150 cm⁻¹ option is available for 2500 – 4475 nm tuning range. For manual input from PC. When wavelength is controlled from keypad, tuning resolution is 1 nm. Measured at the wavelength indicated in the “Pulse energy” specification row. Beam diameter is measured at the 1/e² level at the laser output and can vary depending on the pump pulse energy. The laser max pulse energy will be optimized for best OPO performance. The actual pump laser output can vary with each unit we manufacture. Measured at FWHM level with photodiode featuring 1 ns rise time and 300 MHz bandwidth oscilloscope.